This post is sponsored by Huffy; however, all thoughts and opinions are my own. I vividly remember being 5 years old and walking downstairs on Christmas morning to find a powder blue bicycle with a white basket and big red bow under the tree, and feeling completely overcome with joy. Santa really had heard my wishes and pleas and brought me my dream gift. I rode that bike for years, with training wheels and without. Eventually, my little sister rode it too. 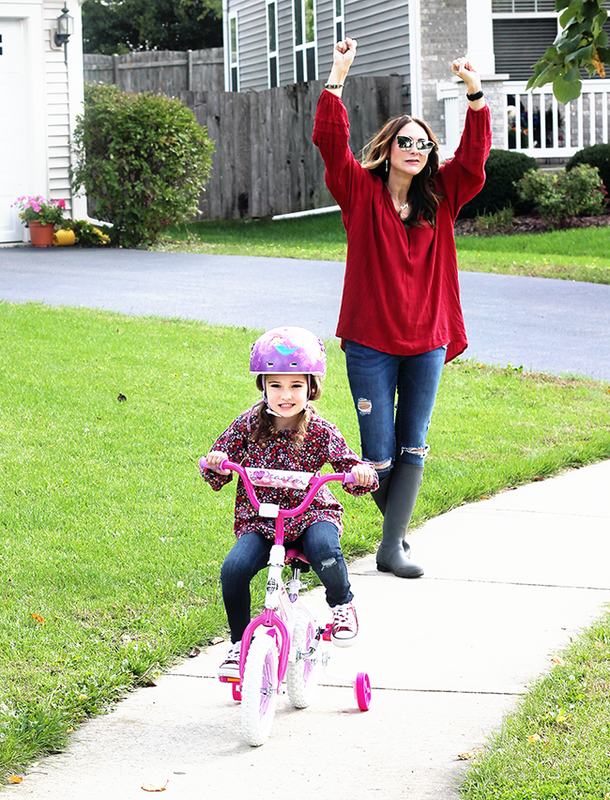 Countless memories from my childhood involve my precious powder blue bicycle - from group neighborhood rides on summer nights to swooshing through the fall leaves to joyfully riding it with my best friend in our city parade. Of all of the gifts I received as a child, that bicycle is one that remains strong in my memory as something that stood the test of time, and was treasured through multiple phases of my young life. 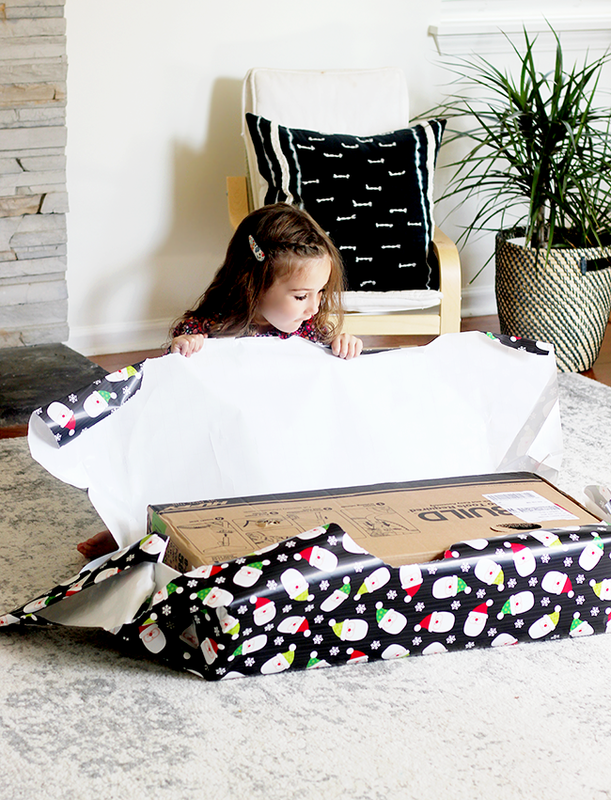 And since I first became pregnant with my now four year old daughter, I could not wait to give her the same gift of fun that I received so many years ago. 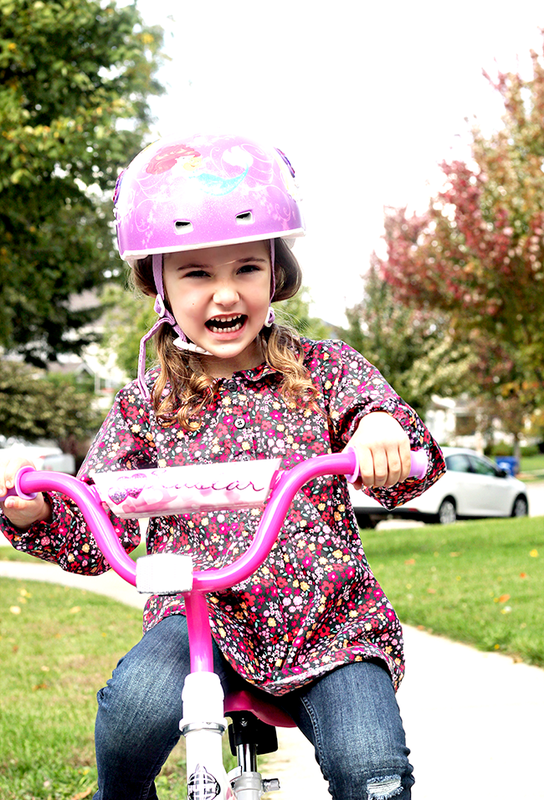 Essley has had a mini practice bike for a while now, but last month, she began asking for a "big kid bike." She told us she was going to put it on her wish list for Santa Claus, "circled and with a lot of stars around it." Since then, she has been doing extra chores, helping with her little brother, and working hard (of her own accord) to prove to us and to Santa that she deserves her big kid bike. 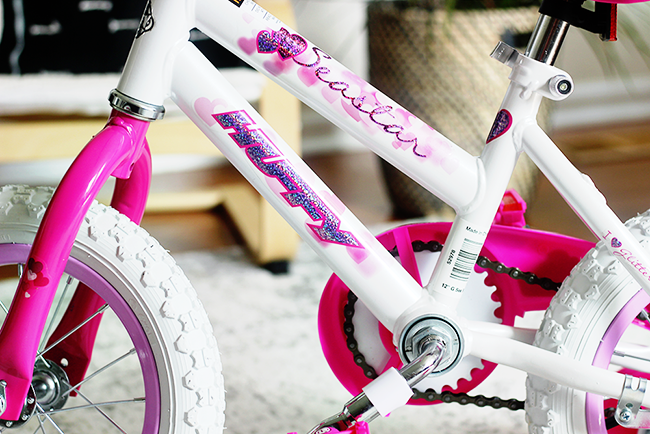 And while I know from my own experience that there is little better than spotting your very own bike under the tree on Christmas morning, we decided that we were going to give Essley her holiday wish a little early this year. 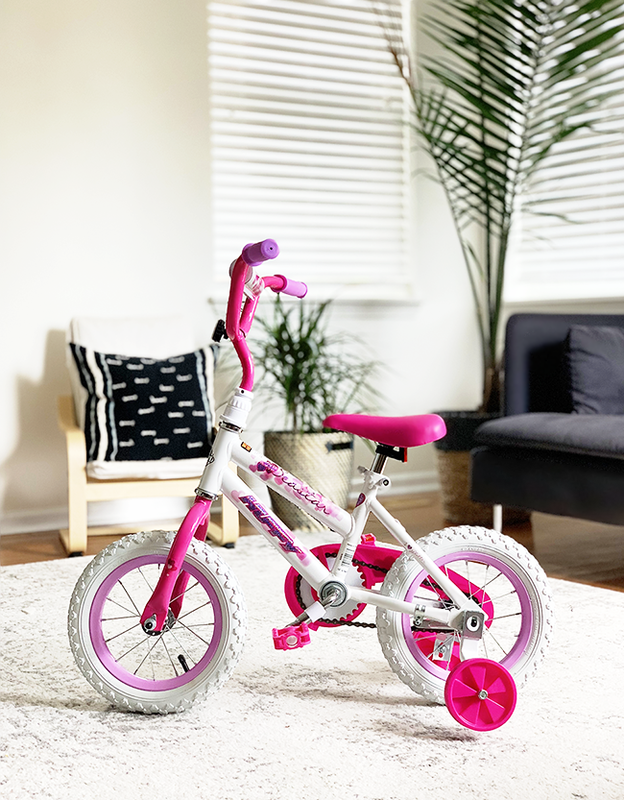 We chose this Huffy 12” EZ Build Bike (for ages 3-5), and after she cleaned both her bedroom and the family room the other day, asked her to walk into the family room and close her eyes, and then yelled "Merry Early Christmas!" I'm not sure I've ever heard her scream so loudly, or jump up and down so high. It was honestly more wonderful than I can put into words, seeing her eyes light up and then watching her experience pure joy and excitement as we built the bike together. 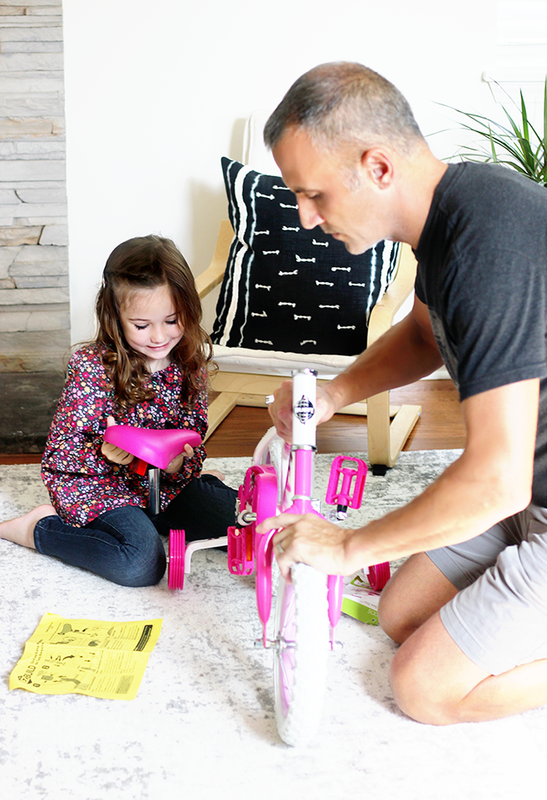 One of the things I love most about the Huffy EZ Build bike is that the assembly is so simple, you and your kids to do it together. Essley really enjoyed the process (and I enjoyed how quickly it was finished); for her, it was part of the fun. 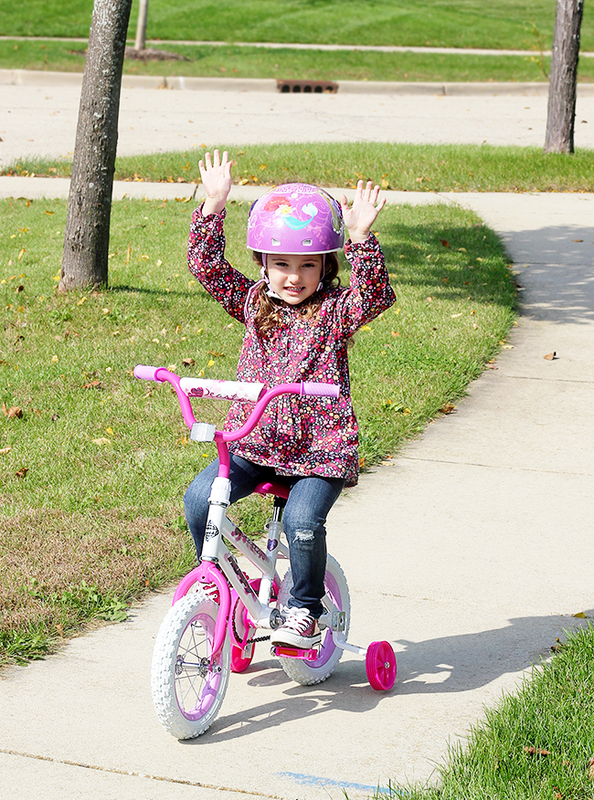 And thanks to the EZ Build technology that is only available from Huffy, she was out the door and riding down the sidewalk in minutes. I also love how the Huffy EZ Build Bike is durable, comfortable, and made to grow with your little ones. Essley used to complain about the seat on her smaller bike hurting her, but says this one is "extra comfy." 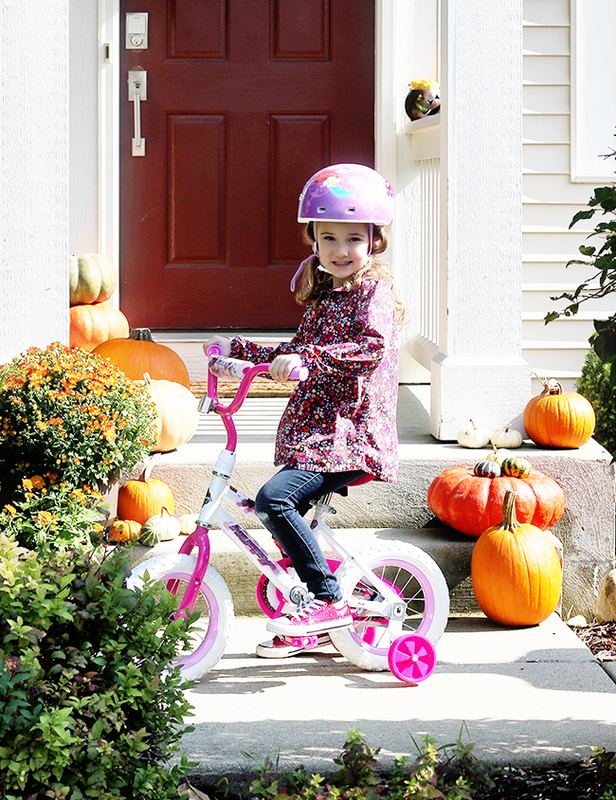 The frame is high quality (made of steel), and the bike features a quick release seat that is easy to adjust as your child grows. It's also a great bike for learning to ride, with a single speed and coaster brake. And lucky for us, it's also very affordable. Winner all around! Watching Essley's face as she feels the exhilaration of learning to ride her new bike around the neighborhood and experiencing that sense of freedom and pure joy brings back the most incredible childhood memories for me - including that moment when I spotted my first bicycle under the Christmas tree. There are endless toys and games and gadgets we can choose to give our children as gifts, but to me, giving a bike is truly giving the gift of fun. And when it comes to gift giving, I can't think of anything better than that. Sounds like a great gift for my niece! Watching her get so excited must have been such a great joy! I absolutely love watching my daughter enjoy herself.